Sessionable is a taphouse in Portland, OR specializing in beers that stylistically contain lower alcohol by volume without sacrificing on body and flavor. Our pub is located at 3588 SE Division. Our 30 rotating taps keep our offering fresh and allow for us to present a diverse offering of beer from smaller local breweries. We also offer small plate foods as well as a selection of local liquors. Sessionable beers have a lower alcohol content, typically 5% or less. This means that beer lovers and aficionados can imbibe a couple of rounds without the level of intoxication that accompanies higher octane beers. 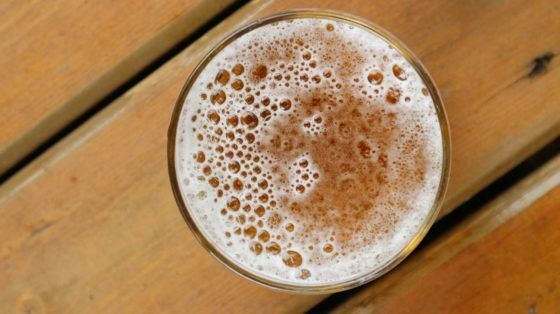 * Ideally, sessionable beers are light enough to be enjoyed with food and conversation without sacrificing on body and flavor. * This doesn’t mean you can drink irresponsibly and drive home or expect an immaculate liver. Drink mindfully – they still have alcohol and all that entails. WHY THESE BEERS AND NOT IIPAS, IMPERIAL STOUTS, ETC.? Nothing against other kinds of beer: we love all kinds. From heady sour beers to plain old Pabst in a can, we enjoy the whole range – we brew it, drink it, judge it in competitions, we’ve even giving up our day jobs to start a taphouse. And while we like the aggressive, high ABV, hoppy beers that dominate the scene in Portland, we decided we’d try something different that isn’t really well-represented in the Pacific Northwest’s beer scene. So, if you’re looking for a place serving mainly those bold, grab-you-by-the-collar sorts of beers, we’d be happy to recommend a few great ones in the Portland metro area (you might even see us there). If you’re looking for a place where you can have a couple of pints and a snack with some friends and not have to hit the snooze button eight times the following morning, check us out. That being said, we also offer select ‘after-session’ beers as as well, which have a higher alcohol content. Our offering is constantly rotating and provide a real-time taplist to allow for you to see what’s currently pouring. WHAT KIND OF FOOD GOES ALONG WITH SESSIONABLE BEERS? Practically anything, yet we’re working with local purveyors to bring you the highest quality, local small plates available. check out our menu here. Yes, we host special events on a regular basis. We have a list of our public events available on our calendar. We can also host your event, just inquire using the contact form by clicking the envelope in the top right of the site header.